Shivaun Clifton is an ICU nurse who works in one of Brisbane’s biggest hospitals. She is married with two little princesses, Charlotte (Lottie) and Poppy (Pop), who are 7 and 6. She has always encouraged the girls to believe in fairies and embrace all the magic that comes along. 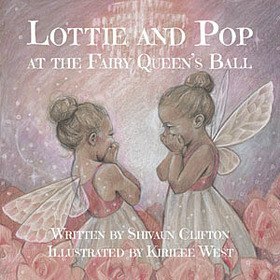 Having always wanted to produce a book, Shivaun wrote Lottie and Pop at the Fairy Queen’s Ball, and when a colleague suggested the talented Kirilee as illustrator, the partnership of Lottipops was born.